Accra, Feb 02, GNA - DNA tests conducted on two young Ghanaians, Kwabena Tantoh Kankam-Yeboah and Emmanuel Agbeko, aged 17 and 16 respectively in relation to the disappearance of Ames Glover, a British national who was reported to have been abducted, had proved negative, the London Metropolitan Police said on Tuesday. In a statement, Mr Prosper Agblor, Assistant Commissioner of Police/Interpol, said following the latest development the search for Ames Glover was still in progress. The statement requested that posters bearing the photograph of Kwabena Tantoh be removed from all public places. It would be recalled that sometime in September 2004 a team of police officers from the Metropolitan Police in London came to the country and held a press conference on an alleged abduction of one Ames Glover in February 1990. 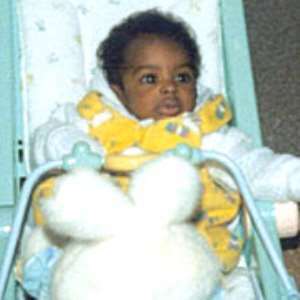 The British Police appealed to the public to assist in tracing the boy and offered a reward of 10,000 pounds. Last year the Accra Daily Mail published that Ames Glover had been found at Cape Coast and given a new name, Kwabena Tantoh. The statement said in hearing the news the Metropolitan Police returned in October 2004 and took DNA samples of the two young men but this has proved negative.